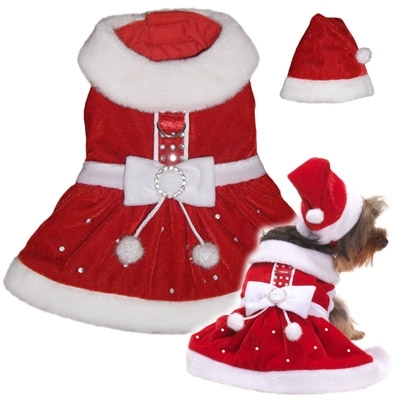 Adorable Mrs. Santa Claus Christmas dog dress costume with crystal appliqués and bow. Comes with matching hat. Doubles as harness with built-in D ring. Velcro closure. 50% cotton, 50% polyester. Red.